The Park West 4 Drawer Chest speak of modern sophistication! The beautiful sleek lines of the dresser rest atop a striking black base. Four spacious drawers provide ample space for your storage needs. 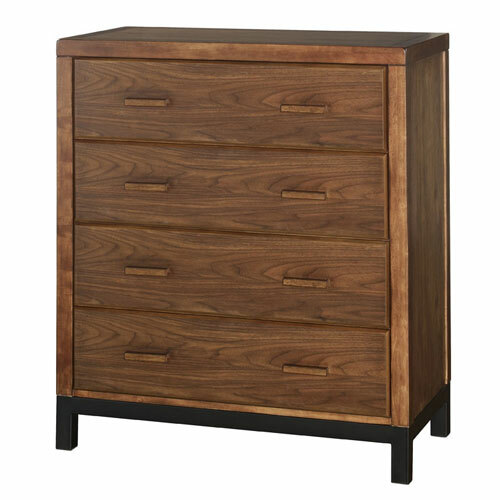 Crafted of solid hardwood, boasting a deep walnut finish, the dresser is sure to last for years of enjoyment. 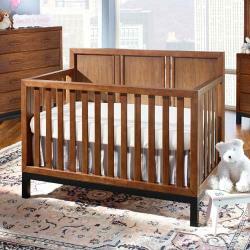 A wonderful addition to your nursery.